Trademark law is concerned about informed purchasing decisions and commercial morality. The U.S. Supreme Court said it best. "[T]rademark law, by preventing others from copying a source-identifying mark, 'reduce[s] the customer's cost's of shopping and making purchasing decisions,' for it quickly and easily assures a potential customer that the this item -- the item with this mark -- is made by the same producer as other similarly marked items that he or she liked (or disliked) in the past. At the same time, the law helps assure a producer that it (and not an imitating competitor) will reap the financial, reputation-related rewards associated with a desirable product." Qualitex Co. v. Jacobson Products Co, U.S. Supreme Court (1995). What's the Difference Between a Copyrights and a Trademark? authors and artists express facts and ideas (but not the underlying facts and ideas). Unlike copyright law, trademark law protects names, titles, short phrases and other symbols that distinguish the source of one product (or service) from another. Trademarks -- which are a form of commercial shorthand -- are important in a marketing sense because they establish goodwill between a purchaser and seller. A service mark relates to services in the same way a trademark relates to products. Just about anything that identifies and distinguishes products and services in the marketplace can function as a trademark. A trademark can be a word, symbol, distinctive phrase, design, product shape, combination of letters or numbers, or even a sound or a smell that identifies and distinguishes particular goods from those of others. Unlike copyrights that exist from the moment of creation, trademarks generally develop over a period of time -- gathering strength through public recognition. 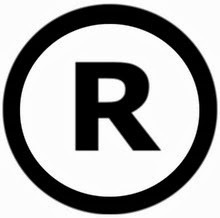 While copyrights grow old, die and fall into the public domain, trademark rights can continue indefinitely if there is continuous use, and the mark (shorthand for trademark) is not permitted to lose its trademark significant by becoming a generic term. Even the tests for copyright and trademark infringement differ. What are the Tests for Copyright and Trademark Infringement? Caution! The test for trademark infringement is somewhat pliant. Some factors are given more weight than others, and the relative importance of each individual factor will vary on a case-by-case basis. Moreover, these factors are not the only ones a court may consider. TIP: To constitute trademark infringement, the two marks don't have to be exactly alike -- just confusingly similar. Unlike most things in life, close is good enough. Under the Trademark Dilution Act of 1995, which became law in 1996, the owner of a "famous" trademark can now stop someone from using its trademark if it tends to weaken, blur or tarnish the famous mark. Unlike traditional trademark law, which still applies, with trademark dilution you do not have to show any likelihood of confusion over the source or sponsorship of the goods or services. Trademark dilution is described in greater detail later in this article. Trademarks protect consumers from being misled. They ensure free competition by protecting the goodwill of the entity that owns the mark. Unlike copyrights that deal with the marketplace of expressive ideas, trademarks deal with the marketplace of goods and services. A trademark represents the goodwill of a business or a particular manufacturer or producer. Trademark symbols provide powerful source-identifying cues that allow us to make value judgments about the quality of certain goods before we sample them. For example, when we see (and hear) Leo the Lion and the phrase "Ars Gratia Artis" at the beginning of a motion picture, we immediately associate this trademark with "MGM Studios," home of Garbo, Crawford, Gable Tracy and Hepburn, Mickey Rooney and Judy Garland. Similarly, when you see the distinctive shape of a bottle of "Coca-Cola" you know, without having to read the label, what is in inside. How Do You Obtain Trademark Rights? Trademarks are earned not born. They come into being through actual use. Trademarks are an alliance of law and marketing. If there are no prior rights attached to a name, phrase, design or logo, you may be able to asset trademark rights in that particular. That is, the first person to use a word, or symbol in connection with the sale of goods or services may across state lines. Trademarks are protected under both federal and state law. You do not have to register a trademark to have it protected, although there are advantages to doing so (e.g., exclusive nationwide ownership of a mark). By using a "mark" on or in connection with goods, or displaying it in connection with services offered, you can acquire trademark rights. TIP: Do you own your company's logo? Many publishers have hired others to create logos to identify their goods and services. Logos, as graphic designs, are generally protected by copyright law and, unless the person creating it is your employee, they, not you, may actually own it! A written work for hire agreement signed by everyone who will participate in the creation of a logo must be signed before any work begins. Otherwise, you may need to obtain a copyright assignment after the fact granting you all rights, in their design, including the right to use it as your trademark. How does trademark law affect authors, artists and other creators? Fortunately, the First Amendment provides fairly broad protections for creators and their business partners, provided, the unauthorized use of a trademark does not confuse people into thinking that the use as authorized by the trademark owner. The following are some brief examples of where the worlds of art and trademark law meet. a. Trade Dress. A product's distinctive image is known in trademark law as "trade dress." It can refer to a product' distinctive shape, color, graphics, sales technique, or any combination of these elements that the purchasing public associates with a particular source. The familiar cover design of "National Geographic Magazine," or the series look of "Frommer's Travel Guides," are examples of distinctive trade dress. Trade dress is protectible under the same general theory that protects trademarks. b. Titles. Titles, while not protected under copyright law, are sometimes protected under trademark and unfair competition laws. However, one-shot titles, no matter how clever they are, are not automatically entitled to trademark protection. To be protected, titles must achieve "secondary meaning." Secondary meaning is akin to the commercial magnetism of a title. As a rule, to be protected, titles must be "broadly known." Series titles, unlike one-shot titles, make good trademarks candidates. In addition, a title in one medium, will be protected in another. c. Literary Characters. To the extent a literary character becomes associated with a particular producer or source, it can be protected under trademark and unfair competition laws -- even if the character is no longer protected by copyright. For example, "Popeye," who made his first appearance in 1929 in a weekly cartoon strip called "The Thimble Theatre," will slip unconscious into the public domain on January 1, 2024. The fact the original "Popeye" character will fall into the public domain, does not preclude King Features from claiming trademark rights in the character, or protecting later strips or non-trivial changes to the original character. However, it is debatable whether they could stop you from copying the public domain strips if you carefully alerted purchasers that you were not doing it with the authority of King Features, and it was a faithful reproduction. d. Domain Names: Domain names, which are unique computer addresses assigned to each computer on the Internet, are widely used by publishing, entertainment and information companies. Unauthorized use of a "famous" mark as a domain name, even in connection with an unrelated product or service, may violate someone's trademark rights. One federal court stopped the use of the Internet address "candyland.com" which offered sexually explicit material, because it tarnished Hasbro's federally registered "Candy Land" trademark for children's games. Domain names, provided they are used in commerce to identify products or services, may be registered with the United States Patent and Trademark Office. In addition, recent legislation has made it easier to combat "cybersquatters" -- individuals who wrongfully register a domain name with the intention to resell the domain name to the rightful owner. e. Misuse of an Author's Names: Under federal and state unfair competition laws, an author can sue for false advertising, or false designation of source, if their contribution to a work is inaccurately described. Likewise, an author's rights may be violated if they are attributed, without their consent, as the author of a substantially altered version of their work. Of course, the changes must be broad enough to make the new work materially different from the original. If the work is distributed outside the United States, the author may also have a claim for violation of their "moral rights." CASE AND COMMENT: In 1976, Monty Python, a group of British comedy writers and performers, obtained an injunction in a U.S. federal court to prevent ABC Television from broadcasting a badly edited version of "Monty Python's Flying Circus." The programs that originally aired on the BBC in England were so badly edited that the punch lines to certain gags were edited out. More than just a little something was lost in the translation. Comment: Section 43(a) of the Federal Trademark Act prohibits the use of false designation of origin and false representations in the advertising and sale of goods. It does not create a duty of express attribution, but does protect against misrepresentation of an author's or artist's work. Not all trademarks are created equal. The law of trademarks rates trademarks on a scale of one to four -- with four the highest rating. A high score means the trademark has greater commercial magnetism, or distinctiveness, and is entitled to a broader scope of protection than second, third and fourth runner ups. A distinctive trademark identifies a single source for particular goods or services. By denying protection to merely descriptive terms, trademark law ensures that competitors can use appropriate terms to describe their own goods or services. Generic terms, or common descriptions, receive no trademark protection and may be used with impunity. Giving generic terms trademark protection might unfairly monopolize common speech or set up a barrier to communication. A descriptive term that conveys some idea about the nature of the goods or services offered is given trademark protection only if the owner can prove secondary meaning due to the public association of the mark with the holder's product or service. As a rule, no matter how clever, the titles of books and entertainment properties require secondary meaning before they will be protected. Suggestive terms (e.g., Ivory Soap), which imply something without describing any one thing in particular -- receive trademark protection no matter if there is secondary meaning. At the top of the list are arbitrary or fanciful terms, which have no pre-existing association with the underlying product (e.g., CAMPY, 7-UP, XEROX, KODAK). As you move up on the trademark ladder, trademark owners receive additional trademark protection. For example, the mark McDonald, which has no association with fast food restaurants (other than that which they created through brilliant marketing), receives extremely broad protection. Indeed, they have prevented all sorts of "McFreeloaders" -- many of whom do not even compete in the food service industries. In addition, fanciful marks are presumed to be valid trademarks. Trademark dilution refers to the whittling away of a famous trademark's distinctiveness through unauthorized use. Under federal trademark dilution law, the owner of a "famous" mark is entitled to stop another person's commercial use of its mark that dilutes, blurs or tarnishes its "distinctive quality." Unlike traditional trademark infringement, neither likelihood of confusion, nor competition between the parties' goods is required. What the federal trademark dilution statute does (15 U.S.C. 1125(c)) is make parody and satire, especially in advertisements and commercials, a high risk endeavor. For example, where there's a negative or unwholesome connotation about a "famous" mark, courts are likely to enjoin use. TIP: Trademark dilution only applies to strong marks. Dilution can occur when a well- recognized mark is parodied in an advertisement, even if there is no likelihood of confusion. Registration is not a prerequisite to either copyright or trademark protection. However, both the Copyright Act and Trademark Act provide several important incentives to register promptly. a. Copyright Registration. Under the Copyright Act, prompt registration may entitle the copyright owner to attorneys'' fees and enhanced damages if his or her copyright is infringed. If you are a U.S. citizen, or your work was first published in the United States, registration is a condition to bring suit. In addition, registration with the Copyright Offices serves a public record -- not unlike the Recorder of Deeds -- enabling permission seekers and licensees to locate you. b. Trademark Registration. Registration on the principal register of the United States Patent and Trademark Office offers a number of advantages, including: (I)exclusive nationwide ownership of the mark: (ii) the Trademark Office will refuse to register closely related marks used in connection with similar goods or services; (iii) it entitles you to use the familiar "R" in a circle; (iv) after five years of continuous use from the date of registration, your rights to the mark become "incontestable"; and (v) your registration serves as a public record putting later users on notice of your superior rights. The trademark search is the most important step in the process of selecting a new mark. Since trademark rights are granted on a first come basis, it is important to determine whether anyone else has prior rights in the same or similar mark. If you do not do a comprehensive search, you run the risk of infringing someone's mark. In addition to defending an unnecessary lawsuit, you may be required to change your mark, destroy your inventory, or pay significant licensing fees. A comprehensive trademark search includes a search of state and federal trademark applications and registrations, common law uses, including business directories, company names, and domain names. Ideally, a trademark search should be done by a professional search firm close to the time you plan to adopt the mark. However, you can rule out certain marks by conducting a "knock-out" or "screening" search. You can do this yourself using, for example, trade directories and the Internet. An assessment of whether a mark is confusingly similar is best done by a trademark attorney who can decode the results of your search. Bear in mind that "clearing" a corporate name with the secretary of state is not the same thing as determining its availability for commercial use. Moreover, relying on the records of the United States Patent and Trademark Office (www.uspto.gov/) alone is not enough, since trademarks arise out of use and may not be federally registered. Assuming the mark is available and there are no potentially conflicting marks, you can register it on the federal or state level, or use it without registration. TIP: When selecting a trademark, two key points to remember are: (I) avoid common descriptive words; and (ii) order a trademark search to screen-out confusingly similar marks already being used by others. Systematic misuse of a trademark can result in the term becoming generic. Words such as "aspirin," "cellophane," and "elevator" slipped into the public domain because of improper usage. Remember. Trademarks are adjectives not nouns. Adjectives limit, or make more definite the meaning of a word. Therefore, a trademark should be used with a generic, or common descriptive, term. Ask for a Xerox photocopy, not a Xerox. Xerox is a trademark for document copying, not a descriptive term for photocopying. When a character in a novel slips into his convertible and lowers the top, he should reach for his Ray-Ban brand sunglasses, not Ray-Bans. At least, make certain to use the trademark with a generic term at least once in your writing. Failure properly to use a trademark may result in a nasty letter from the trademark owner's attorney alleging trademark misuse. Since trademarks are used to distinguish products and services, proper trademark grammar also requires that you set the trademark apart from adjacent text. For example, use italics, initial caps, or quotation marks to contrast a trademark with a merely descriptive term. 1. To be protectible a trademark must be distinctive. 2. The key to trademark infringement is the existence of likelihood of confusion caused by using a similar mark. 4. When selecting a trademark, do a preliminary search using industry directories to knock- out potential conflicts. 5. After you have narrowed your list of possible trademark candidates, order a full search from a reputable trademark search firm. If the report reveals similar marks used in connection with similar goods or services, you cannot use the proposed trademark, unless you obtain permission. 6. Unlike one-shot titles, series titles, whether a series of books, tv programs, software, or a regularly published magazine or other periodical, is eligible for trademark protection. 7. Protectible titles in one media will be protected in different media if there is likelihood of confusion. 8. A "famous" trademark can be infringed by a use that tarnishes or blurs its commercial magnetism. No likelihood of confusion is required in these instances. 9. Proper usage of a trademark is very important to trademark owners. Always use trademarks as adjectives, not verbs or nouns. Remember. Trademarks are brands, not things. 10. Characters, especially well-known illustrated characters, can function as valid trademarks, even after copyright protection expires. 11. The total image of a product, including the dust jacket of books and covers of magazines, are protected against confusing similarity under trademark law. 12. Accurately credit authors, artists and other creators to avoid unfair competition, and other claims. 13. Proper trademark punctuation requires that you to use the "R" in a circle in superscript whenever you use a registered trademark for purposes of advertising or trade. Unregistered trademarks have a "TM" placed next to them to show they are being used in a trademark sense. Disclaimer: This article represents copyrighted material and may only be reproduced in whole for personal or classroom use. It may not be edited, altered, or otherwise modified, except with the express permission of the author. This article discusses general legal issues of interest and is not designed to give any specific legal advice pertaining to any specific circumstances. It is important that professional legal advice be obtained before acting upon any of the information contained in this article. (c) 2018. Lloyd J. Jassin. All Rights Reserved.